Copyright © 2014 Huishu Yuan, Xiangzhi Kong. This is an open access article distributed under the Creative Commons Attribution License, which permits unrestricted use, distribution, and reproduction in any medium, provided the original work is properly cited. In accordance of the Creative Commons Attribution License all Copyrights © 2014 are reserved for SCIRP and the owner of the intellectual property Hui shu Yuan, Xiang zhi Kong. All Copyright © 2014 are guarded by law and by SCIRP as a guardian. By utilizing homomorphisms and -strong semilattice of semigroups, we show that the Green -relation is a regular band congruence on a -ample semigroup if and only if it is a -strong semilattice of completely -simple semigroups. 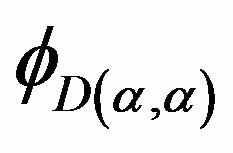 The result generalizes Petrich’s result on completely regular semigroups with Green’s relation a normal band congruence or a regular band congruence from the round of regular semigroups to the round of -ample semigroups. It is well known that the usual Green’s relations on a semigroup play an important role in the study of the structure of regular semigroups [1-7]. Especially, the well-known theorem of A. H. Clifford states that a semigroup is a completely regular semigroup if and only if it can be expressed as a semilattice of completely simple semigroups (see ), where a completely regular semigroup is a semigroup whose -class contains an idempotent. By using this result, A. H. Clifford, M. Petrich both showed that a completely regular semigroup with its Green’s relation a normal band congruence if and only if is a strong semilattice of complete simple semigroups . On the other hand, J. B. Fountain generalized the Clifford theorem by showing that an abundant semigroup is a superabundant semigroup, that is, an abundant semigroup with every -class of contains an idempotent of if and only if is a semilattice of completely -simple semigroups. and , that is, is a union of some -classes and also a union of some -classes of . where is the idempotents set of . It can be easily seen that and for any regular elements of a semigroup , if and only if . In order to further investigate the structure of non-regular semigroups, we have to generalize the usual Green’s relations. For this purpose, J. B. Fountain and F. Pastijn both generalized the Green’s relations to the so called Green -relations in  and , respectively and by using these Green -relations, many new results of -semigroups and abundant semigroups have been obtained by many authors in [10-18]. For the results of all other generalized Green’s relations and their mutual relationships, the reader is referred to a recent paper of Shum, Du and Guo . In this paper, we introduce the concept of the Green -relations which is a common generalization of the Green -relations and the relation. We also introduce the concept of the -strong semilattice of semigroups and give the semilattice decomposition of a -ample semigroup whose is a congruence. 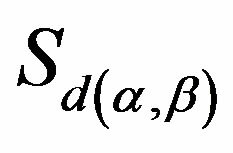 By using this decomposition, we will show that a semigroup is a -ample semigroup whose is a regular band congruence if and only if is a -strong semilattice of completely -simple semigroups. Our result extends and enriches the results of A. H. Clifford, M. Petrich and J. B. Fountain in the literature. we first generalize the usual Green’s relations and the Green -relations to the Green -relations on a semigroup . where is the smallest ideal containing saturated by and . We can easily see that is a right congruence on while is only an equivalence relation on . One can immediately see that there is at most one idempotent contained in each -class. If , for some , then we write as , for any . Clearly, for any with , we have . If a semigroup is a regular semigroup, then every -class of contains at least one idempotent, and so does every -class of . If is a completely regular semigroup, then every -class of contains an idempotent, in such a case, every -class is a group. A semigroup is called an semigroup by J. B. Fountain in  if every - and -class of contains an idempotent. One can easily see that on the regular elements of a semigroup. Therefore, all regular semigroups are obviously abundant semigroups. As an analogy of the orthodox subsemigroup in a regular semigroup, a subsemigroup in an abundant semigroup is called a semigroup  if each of the -classes of the abundant semigroup contains an idempotent, in such a case, every -class of is a cancellative monoid, which is the generalization of completely regular semigroups within the classes of abundant semigroups. The concept of ample semigroups was first mentioned in the paper of G. Gomes and V. Gould . We now call a semigroup -ample if each -class and each -class contain an idempotent, the concept was first mentioned by Y. Q. Guo, K. P. Shum and C. M. Gong . Certainly, an abundant semigroup is a -ample semigroup, but the converse is not true, and an example can be found in . We now call a semigroup a super -ample semigroup if each -class of contains an idempotent and is a congruence. It is clear that every -class of such super -ample semigroup forms a left cancellative monoid which is a generalization of the completely regular semigroups and the superabundant semigroups in the classes of -ample semigroups. It is recalled that a regular band is a band that satisfies the identity . For further notations and terminology, such as strong semilattice decomposition of semigroups, the readers refer to [2,3]. For some other concepts that have already appeared in the literature, we occasionally use its alternatives, though equivalent definitions. 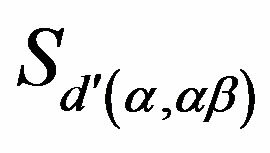 A completely simple semigroup is a -simple completely regular semigroup whose Green’s relation is a congruence on , as a natural generalization of this concept, we call a -ample semigroup a completely -simple semigroup if it is a -simple semigroup and the Green -relation is a congruence on . 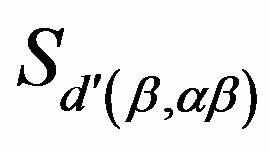 We first state the following crucial lemma. relation on is a congruence on if and only if for any , .
. But and so, since every -class contains a unique idempotent. is left compatible with the multiplication on . Similarly, is right compatible wit the multipication on and thus is a congruence on . Lemma 2 If are -related idempotents of a -ample semigroup with each -class contains an idempotent, then . Since is -ample, . Thus, since for regular elements and . Proof. Let and . Then, by Lemma 2, . Thus, there exist elements in with and . Then and and the result follows. Lemma 4 Let be idempotents in a -ample semigroup with each -class contains an idempotent. if , then .
. Then so that , and so that . It follows that are idempotents with and . Hence and . Now and so that , that is, . Proposition 5 If is an element of a -ample semigroup , then .
. Hence if , then so that is indeed an ideal saturated by and , as required. Proposition 6 On a completely -simple semigroup , . and so , which implies that and hence . Conversely, let with . Now, by Corollary 3, there exists such that . Thus and so . By Proposition 5, and hence . Now we have . Proposition 7 A completely -simple is primitive for idempotents. Now we have and and so But so that and all idempotent of are primitive. Lemma 8 In a completely -simple semigroupm , the regular elements of generate a completely simple subsemigroup. Proof. Let be regular elements of . Since consists of a single -class(by Proposition 6), it follows from Corollary 3 that there is an element with . Hence, we have . Thus, and since is regular. Now we see that and the regularity of follows from that of . 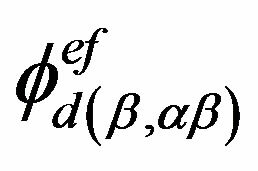 The property of completely simple of the subsemigroup generated by regular elements follows Proposition 6, lemma 2 and Corollary 3 easily. 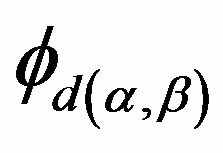 Theorem 9 Let be a -ample semigroup.Then is a semilattice of completely -simple semigroups such that for and , , . and and by the preceding paragraph. we have and since , Since , and is a congruence on , and so . Now, , we have and since the opposite inclusion is clear, we conclude that . Because the set of all ideals forms a semilattice under the usual set intersection and that the map is a homomorphism from onto . The inverse image of is just the -class which is thus a subsemigroup of . Hence is a semilattice of the semigroups . and consequently, since , we have . A similar argument shows that . From the last paragraph, we have so that is a -ample semigroup. We need the following crucial lemma. Lemma 10 Let be a -ample semigroup. 3) Let and be such that . Then, . Proof. 1) Let . Then, by Lemma 1, and are in the same -class and so . Let . Then and . 2) By the definition of “ ”, there exist such that , . From and , we have . Similarly, . Thus, . Similarly, and so as required. 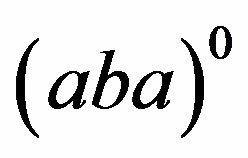 Following Proposition 7, we can easily prove the following lemma Lemma 11 Let be a homomorphism from a completely -simple semigroup into another completely -simple semigroup . Then . If is a homomorphism between two completely -simple semigroups. Then the Green -relations , are preserved, so that is preserved. We call a homomorphism preserving , are good. By Proposition 7 and Lemma 10, we can show that a completely -simple semigroup is primitive. 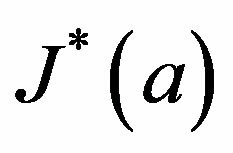 In this section, we introduce the -strong semilattice of semigroups which is a generalization of the well known strong semilattice of semigroups.
. 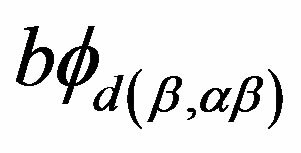 Suppose that the following conditions hold in the semigroup .
. Let . 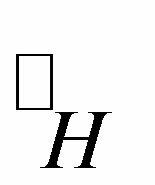 Then 1) for , the homomorphism is the identity automorphism of the semigroup . If the semigroup satisfies the above conditions, then we call a -strong semilattice of subsemigroups and write . One can easily see that a -strong semilattice is the ural strong semilattice if and only if all for all on . Following Theorem 9, we can easily see that a -ample semigroup is a semilattice of completely simple semigroups . In this section, we introduce the band congruence on a regular -ample semigroup and the structure homomorphisms set . 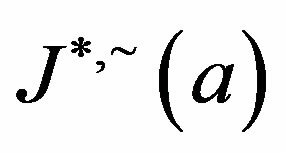 Finally, we will show the main result of the paper, that is, a -ample semigroup is a regular -ample semigroup if and only if it is a -strong semilattice of completely -simple semigroups. 2) for on , and is the universal relation on . 3) for on and , , .
. Now the proof is completed. Lemma 14 Let be a regular -ample semigroup. , that is, . Thus by Lemma 10 (ii), is required.
. Since is arbitrarily chosen element in , we can particularly choose . In this way, we obtain that and consequently, by Lemma 1, we have . is defined in Lemma 14. Write . Then 1) is a homomorphism. 2) for , is the identity homomorphism of . 3) for on , . 2) It follows easily since is primitive. which implies for some . is a primitive semigroup. Hence, we obtain that . Theorem 16 A -ample semigroup is a regular -ample semigroup if and only if it is a -strong semilattice of completely -simple semigroups. Now by Lemma 1, is a congruence on . Thereby, . Analogously, we can also prove that . This proves that is left compatible on . Since is always right compatible, we see that is a congruence on , as required. Dually, is also a congruence on . Thus by  (see II. 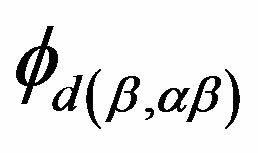 3.6 Proposition), is a regular band and hence is a regular cryptic -ample semigroup. Our proof is completed. A. H. Clifford and G. B. Preston, “The Algebraic Theory of Semigroups,” American Mathematical Society, New York, 1967, pp. 98-120. J. M. Howie, “Fundamental of Semigroup Theory,” Clarendon Press, Oxford, 1995, pp. 56-73. M. Petrich and N. R. Reilly, “Completely Regular Semigroups,” John Wiley & Sons, New York, 1999, pp. 162-197. M. Petrich, “Lectures in Semigroups,” Wiley & Sons Inc., London, 1976, pp. 124-156. F. Pastijn, “A Representation of a Semigroup by a Semigroup of Matrices over a Group with Zero,” Semigroup Forum, Vol. 10, 1975, pp. 238-249. M. V. Lawson, “Rees Matrix Semigroups,” Proceedings of the Edinburgh Mathematical Society, Vol. 33, 1990, pp. 23-39. X. Z. Kong and Z. L. Yuan, “Normal Crypto -Abundant Semigroups,” Advances in Mathematics (in Chinese), Vol. 36, No. 5, 2007, pp. 539-545. X. Z. Kong and K. P. Shum, “A Structure Theorem of Normal -Cryptographs,” Publicationes Mathematicae, Vol. 72, No. 3-4, 2008, pp. 335-346. X. Z. Kong, Z. L. Yuan and K. P. Shum, “ -Abundant Semigroups and -Cryptographs,” Algebra Collections, Vol. 15, No. 4, 2008, pp. 653-666. *The research is supported by the national natural science foundation of China (11371174, 11301227) and natural science foundation of Jiansu (BK20130119).